Grandma gave me this vintage Fiesta© disk juice pitcher and tumblers. She lived to be only a few months shy of 100 years old. I wish I knew the story of how she herself acquired this set. (I had a few more tumblers but alas, they did not survive all of my moves.) I do not actively collect Fiesta© ware because I do not have the space to store it, but I love using the pieces Grandma gave me. 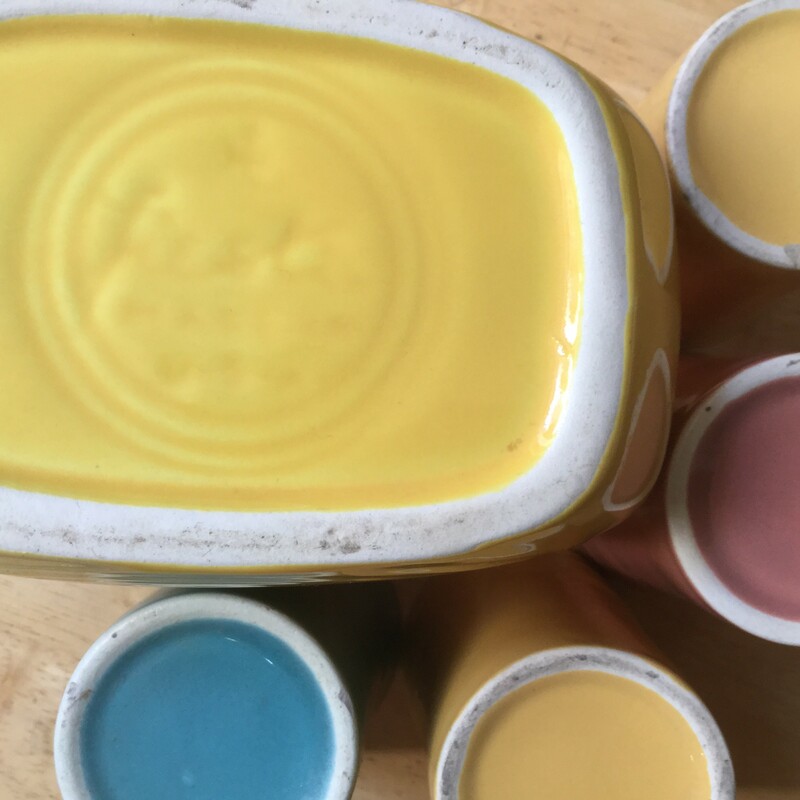 A British man named Frederick Hurten Rhead designed this colorful line, and it arrived in America in 1936 when the Homer Laughlin Pottery Company of Newell, West Virgina, started producing it. It is said to be the absolute most popular dinnerware in America. This juice set was likely produced sometime between 1939 to 1943. It originally would have had six tumblers. I have a few more Fiesta© ware pieces from Grandma, so stay tuned!